DEFINING CHARACTERISTICS: A mix of well-formed & rough single-track. Bush, beach & a creek crossing. POINTS OF INTEREST: The historic Dacre Cottage in Karepiro Bay is worth a look. BEST MAP/S: Download the simple PDF map from the DOC website – it’s all you’ll need. RUN IT: For the first couple of kms the track is well formed, having been recently upgraded. After crossing a bridge across a feeder creek to the Okura Estuary it climbs about 85m through beautiful nikau groves, pohutakawa and regenerating coastal kauri forest. 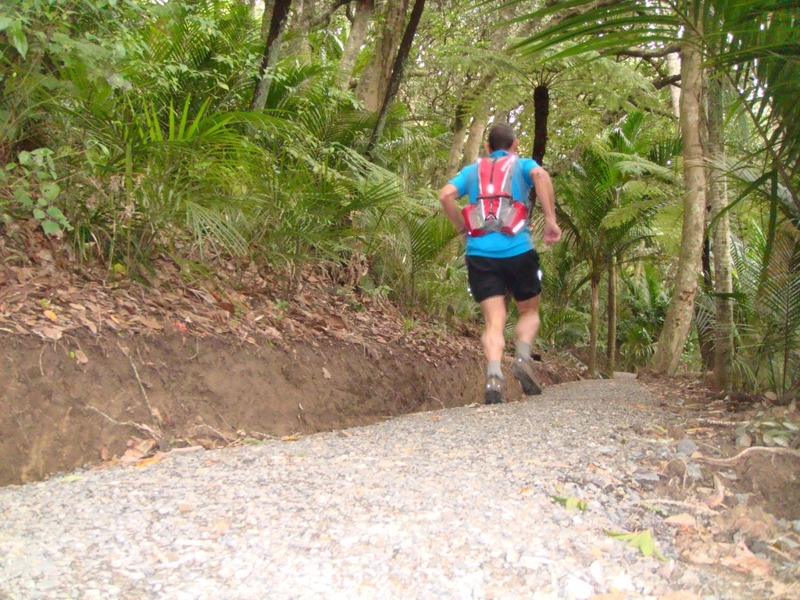 After cresting this first hill the track gets progressively rougher as it undulates its way through bush along the Okura River estuary and edge of the Long Bay – Okura Marine Reserve, finally dropping down a series of 110 steps to reach Karepiro Bay and historic Dacre Cottage (4.8 kms in). From here you can follow the coastline at low tide, or cross the shallow creek and take the overland track, climbing steeply above the coastal cliffs, with good views of Karepiro Bay and the Hauraki Gulf, before dropping back to the Weiti River estuary and the turnaround point (6 kms). Follow your nose back the way it came to return to the start. POST RUN GOODNESS: There are no watering holes at either end of the track but you have the choice of hundreds of cafes dotted all over the North Shore suburbs not too far away. HI, this looks great, is it dog friendly? In theory dogs are not allowed but you see plenty of them on there. On a lead should be fine. If you are looking for a slightly longer run follow the markers to Stillwater Park before returning.